AlcoholDrugClass offers this AB 762 program for those that received a DUI in California but live and hold a driver's license in another state. This is a 45 hour program that is designed to meet court requirements for those who are required to complete this program. Do not take this class if you have a CA driver’s license or intend on obtaining a CA driver's license. 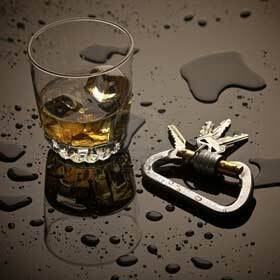 This program is also referred to as the AB 762 Alcohol Class/Program or the AB 762 DUI Program. This class is primarily taken by those who received a DUI in CA but hold a DL in another state and need to meet CA requirements. We recommend you get prior approval to take this class online first from either your attorney or the court to ensure it will meet your specific requirements. This class is specifically taken for those that were ordered to attend an AB 762 class or a 45 hour alcohol education program. Registration is simple and easy. Just click on the RED register now button above and fill out the registration form, pay for the class and you can start instantly. Once you complete the class, you will be issued a certificate of completion. We provide customer service by phone or email. By phone, call our office M-F from 8:00am- 6:00pm. We are happy to provide information from a live representative. By email, use our contact form and we will respond within 24 hours or less via email 7 days a week.